James Reid accidentally mentions he and Nadine are living together during his guesting on Gandang Gabi Vice. 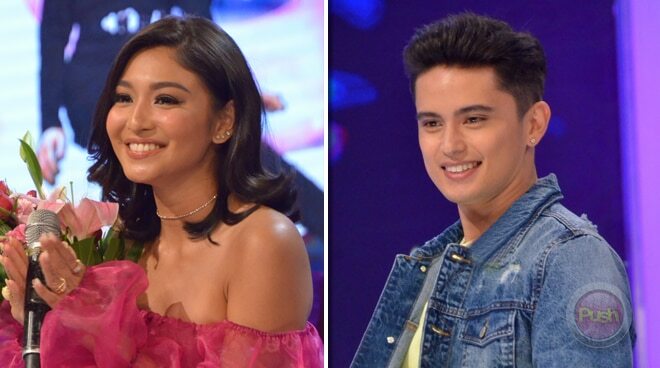 James Reid ended speculations when he revealed that he and girlfriend Nadine Lustre are living together during his appearance on late night show Gandang Gabi Vice. The actor had a slip of tongue while chatting with TV host Vice Ganda about his three-year relationship with Nadine and admitted they are together under one roof. "It doesn't feel like three years, parang it's been so fast ... We live together, so, like... Did you know that already? Okay, well, we live together," he told Vice amid the cheers of their fans in the audience. And even though it's been three years, James also said that there is still that spark between them. "So yes, we live together, and sometimes kasi, araw araw kayo nagkikita, no space, sometimes you get too comfortable, but then there's days when she's working, super busy, parang ngayon, and when she gets home, it's like, we really miss each other still, kahit isang araw lang," he shared. James and Nadine officially became a couple in 2016 after they finished their hit TV series On The Wings of Love. READ: Are James Reid and Nadine Lustre living in together?